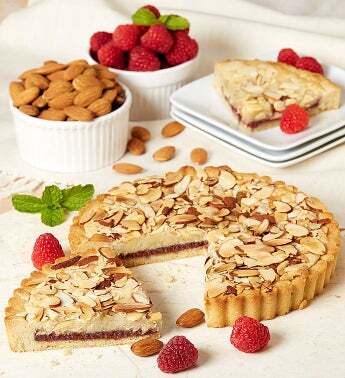 Enticing Raspberry & Almond make this a cookie pie that they'll dream about! These delectable ingredients are baked in a rich all butter cookie crust for an irresistible classic treat. Each cookie pie is lovingly hand-crafted in small artisan batches. This unique twist on a cookie classic is one of our buyer's all time favorites!